Victoria Jacobse, a dynamic point guard from Abbotsford’s W.J. Mouat Secondary, and Jessica Cameron, a versatile wing out of Calgary’s Western Canada High School, have committed to the University of the Fraser Valley women’s basketball program. Jacobse and Cameron are the first two signees in head coach Al Tuchscherer’s 2015-16 recruiting class, and they’ll suit up for the Cascades in the fall of 2016. Tuchscherer had the opportunity to coach Jacobse with the Junior Cascades club program in the summer of 2014, and came away impressed with her work ethic and the positive impact she had on her teammates. Jacobse earned a plethora of accolades during her youth basketball career. In 2012, she won a gold medal at the BC Summer Games with the Fraser Valley zone team. The following year, she was named tournament MVP at the B.C. Grade 9 provincial championship, and her Mouat Hawks won the silver medal. In 2014-15, Jacobse came off the bench for a stacked Mouat senior girls squad which finished second at B.C. AAA high school provincials, and he played for the B.C. U17 provincial team this past summer. Jacobse is also a high achiever academically. She plans to pursue a Bachelor of Science degree at UFV, with an eye on moving on to medical school after that and becoming a surgeon. Cameron is a rare out-of-province recruit for Tuchscherer – all but two members of his current 15-player roster (including redshirts) hail from B.C. 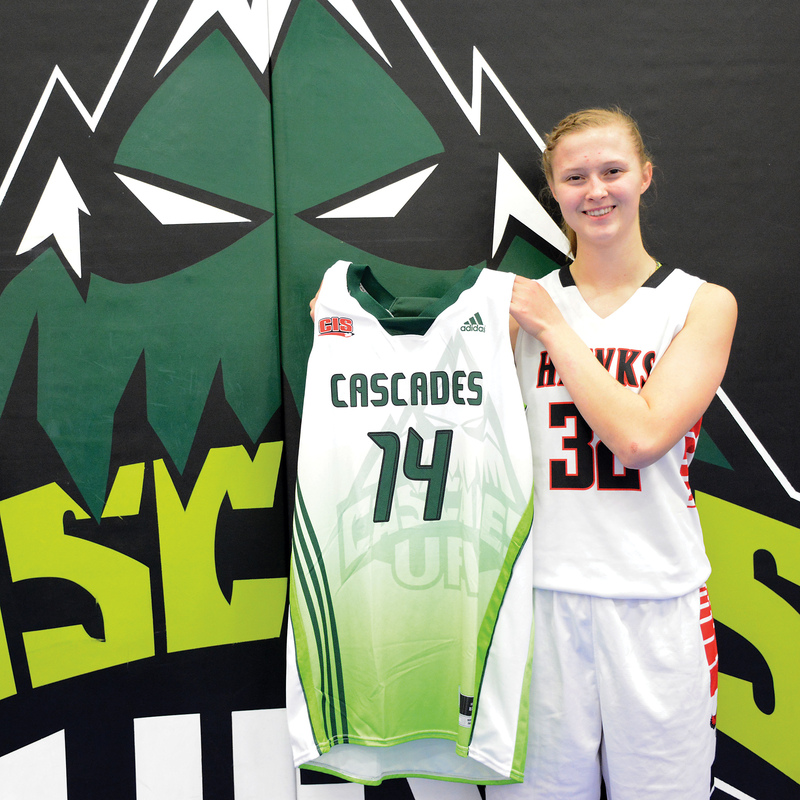 Cameron got to know the UFV women’s basketball program better, and vice versa, this past summer when she joined the Junior Cascades U17 team for a tournament in Las Vegas. She boasts a multi-faceted offensive skillset, with the ability to shoot the ball efficiently from beyond the arc, slash to the hoop, and make plays off the dribble for her teammates. 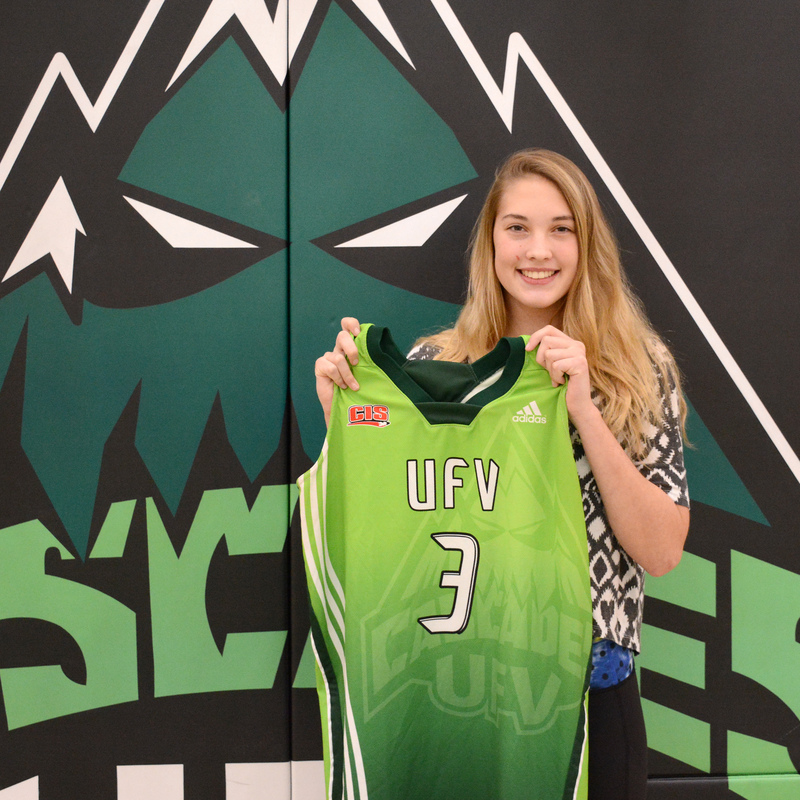 Cameron, who plans to study business at UFV, is in her third season with the senior girls basketball team at Western Canada High. In 2014-15 (her Grade 11 season), she helped the Redhawks earn an Alberta 4A high school provincial championship berth, over the summer, she earned all-star honours at the NBC Basketball Camp in Olds, Alta. Congratulations to our granddaughter Jessica!